The paradox is widely apparent. Women entrepreneurs are increasing in numbers and in economic power across the United States, yet they continue to face an extraordinary number of roadblocks along the way. On one hand, women are now the majority owners of 38 percent of U.S. businesses, according to the most recent State of Women-owned Businesses Report, commissioned by American Express OPEN. They employ nearly 9 million people nationwide and generate more than $1.6 trillion in revenue. The number of net new startups owned by women has increased 45 percent since 2007. 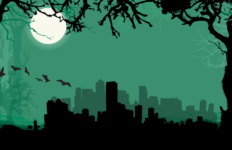 At the same time, their entrepreneurial journeys remain rife with potholes. No smooth ride exists for anyone starting a business. Yet, by many accounts anecdotally as well as statistically, women face disproportionate challenges in the form of limited access to capital, fewer opportunities for meaningful mentorship and a lack of visible role models. In Florida, nowhere is that disparity starker than in the state’s most populous metropolitan area. Consider this one contradiction: The Kauffman Index of Entrepreneurship (June 2015) ranks Miami among the top five metro areas for number of female business owners. 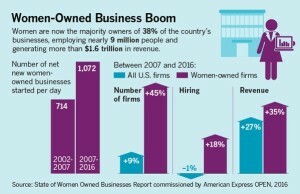 However, the 2014 State of Women-owned Businesses Report placed Miami in the bottom five metro areas for “economic clout” of women entrepreneurs – a measure combining the number of women-owned businesses, revenue generated and employment data. Help, though, is on the way for Miami … from Massachusetts. A highly successful accelerator program for women entrepreneurs, launched three years ago by Babson College in Babson Park, Mass., will debut this fall in Miami. As a sign of the city’s robust entrepreneurial potential, the expansion is the first for the Babson program, which already has been designated as one of the top two “specialty” programs for Excellence in Entrepreneurship Education by the U.S. Association for Small Business and Entrepreneurship. In April, an executive director for Miami was hired — Nelly Farra, a graduate of the University of Miami who received an MBA from Babson College in 2010. The program is scheduled to officially begin in late September. Over an eight-month “pathway,” Babson’s Women Innovating Now Lab, known as the WIN Lab, will be an extension of Babson’s Center for Women’s Entrepreneurial Leadership. In Miami, the WIN Lab will offer training sessions and connect women entrepreneurs to a wide range of experts for guidance. Additionally, it will provide access to strategic networks and co-working space, enabling participants to build on their ideas and expand their ventures. The plan is to not only cover potholes, but also pave new roads by “engaging talented women entrepreneurs and providing the coaching and resources they need to launch and scale their ventures.” Creating CEOs as much as companies will be a focal point, with a mix of entrepreneurial leadership and female empowerment. Heatherjean MacNeil, WIN’s global director, calls it bridging the “gender gap” in the accelerator environment, where participation for women currently is around 14 percent. 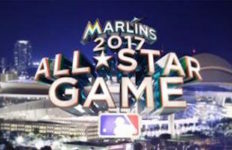 Applications are still being accepted, although the process for selecting the program’s first 20 or so Miami participants is nearing conclusion. According to MacNeil, two types of applicants are being sought: women entrepreneurs with prelaunch business ideas and those who are a bit further along, already in the launch stage and looking to grow. “By the end of the program, we would expect all of our entrepreneurs to be at the point where they’ve launched and now they’re getting to acquire customers,” she says. Similarly, the search continues for program partners, including men. “Part of our model, and it’s very important, is to build a really robust mentorship and expert pool,” MacNeil cites. Current partners, for example, include the Wyncode Academy and Ellevate. Wyncode is a development boot camp with three locations in South Florida, offering WIN Lab participants a discounted rate for its eight-week boot camp. Ellevate is a global network for professional women, providing opportunities for women to connect, learn and invest in themselves. (WIN Lab and Ellevate will co-host a public event, “Design-Thinking and Entrepreneurial Innovation,” on May 11). Babson’s move into Miami is part of the college’s growing presence in the region, which includes a network of 1,300 Miami-based alumni, an advisory role at The Idea Center at Miami-Dade College and a connection to Miami-Dade College as the academic architect of its Goldman Sachs 10,000 Small Businesses program. Notably, the WIN Lab expansion into Miami comes largely by virtue of an $800,000 contribution by the John S. and James L. Knight Foundation, which champions entrepreneurship nationwide and has recently kept a keen eye on Miami’s entrepreneurial ecosystem. In April, the Knight Foundation invested another $175,000 to bring Idea.me, an international crowdfunding platform, to Miami — its first move into the United States. As part of that investment, the Create Miami campaign was launched, an initiative to help 20 Miami entrepreneurs (men and women) receive funding for their ideas from investors in the United States, Latin America and beyond. 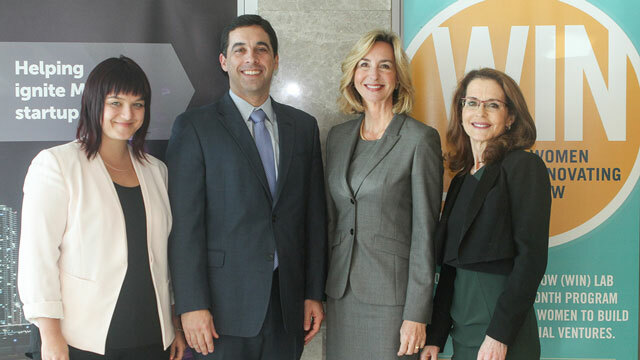 (From left to right) Global Director of the WIN Lab Heatherjean MacNeil, Knight Foundation Miami Program Director Matt Haggman, Babson President Kerry Healey and CWEL Executive Director Susan Duffy. During the past three years, Knight has made more than 100 investments in entrepreneurship in South Florida. 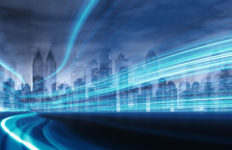 “Miami is one of the country’s top cities for new entrepreneurial activity, but to reach its full potential it must continue to engage and support innovators of all kinds,” comments Matt Haggman, Knight Foundation program director for Miami. A WIN … win for Miami entrepreneurs.